Happy New Year my scrappy friends, late as it may be! I hope the entry into 2019 has been a good one thus far. 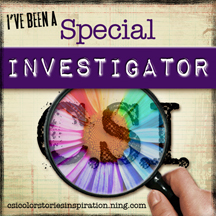 Have you done much scrapbooking? Did you start a December Daily? How far did you get? I began two different albums, both of which have one entry in them... Yea, done with that and all future attempts. It's just not something that is going to work for me, why keep bashing my head against the proverbial wall. After six or seven years of beginning and not finishing, I think it's high time I throw in the towel, don't you?! Valentine's Day, AKA Saint Hallmark's Day around here... Having recently seen the statistics about money spent on roses, chocolates and candy, it's most definitely increasingly apparent how this is a holiday that businesses have taken and capitalized upon. Typically, we don't celebrate. HOWEVER, the bakery at Michael's office bakes some of the most delicious creations. And it's a great excuse to have to bring home a sweet treat! That's what this layout is about - Mia's LOVE-ly treats and a SnapChat filter. LOL! I used my Silhouette and some super cool products from ThermOWeb to design this large title. There is a whole tutorial on my YouTube channel as well as a written tutorial over on the ThermOWeb blog. The effect of the gold foil for the letters and the red foil for the conversation heart is just stunning, don't you think? And SO incredibly easy to do! She is going to kill me when she sees that I used that picture... We have entered into the era of "the hand"... It will be a while before you see recent pictures of this child. If you are interested, there is an accompanying tutorial/process video. The first part of the video shows you have to foil the letters and emboss them while the later part of the video is how the layout comes together. Thanks for stopping in today! 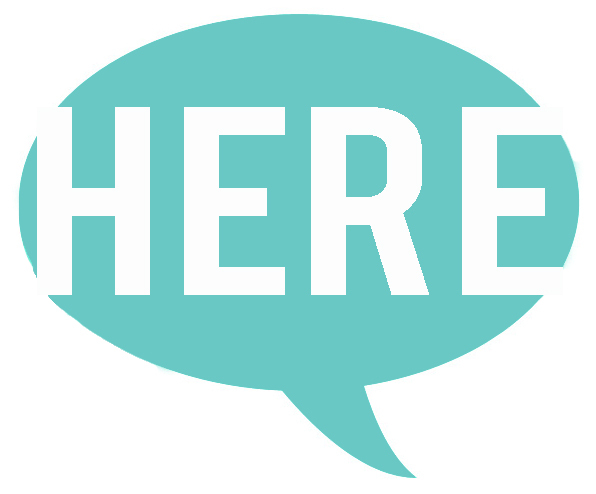 If you are familiar with ThermOWeb products and have something in particular you would like to see, do leave me a comment and let me know what it is you would like to see! Phew... It's been a while. 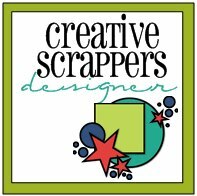 You know if you are looking for my scrappy creations, the best place to look is over on my YouTube channel, right? And if you aren't a YouTube watcher (don't worry, I get that. Generally speaking, nor am I), then I need to you to let me know so I can be better about updating the blog. From what I see on the back end, not many people come here so I don't want to spend unnecessary time here. But if enough of you tell me you like reading the blog or scrolling through the blog, I'm happy to accommodate. And so! 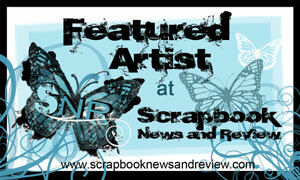 I am honored to be a Guest designer this month over at The ScrapRoom! The ScrapRoom is "come as you please" kit club, ie non commitment, that allows you to skip kits at any time. The "main" kit is called the Flavors of the Month kit and comes with four different page kits; there are 3 patterned papers and a sampling of embellishments. It is a great way to get a flavor of a collection! I have loved guesting for this kit company! Today I'm sharing with you a layout that I created using the February Crate Paper, Good Vibes collection Flavor of the Month as well as some embellishments that are in the Embellishment Add On kit and a digital cut file that I created to help stretch the kit a little more! This picture is of my daughter on the day that she began her orthodontic journey, with an expander. This idea to create this layout came from the selection of phrases that were included in my kit; goals. I had seen the "smile" sticker from the add on kit and decided that paired with "new" I had the perfect title; New Smile Goals. Perhaps not the most succinct title or best English but hey! It worked for story telling purposes! In order to tell the story and have the photo not compete with the colors in the collection, I converted the photo to black and white. After all, who really needs "in living color" of the inside of Mia's mouth?! LOL! Not many of us, I'm sure of that. The days of the week stickers worked perfectly as part of the story telling in order to convey that we had to crank the expander every day of the week that she had it. Not once but twice actually. You can find the FREE Download HERE for the digital cut file that I used for the vellum flowers. They are a fun way to extend the use of the kit, especially if you don't get the embellishment add on or want to fussy cut too many of the flowers from the patterned paper. Thanks for stopping in today! If you are looking for a new adventure, a new kit club or perhaps another kit club, this is a great option. You can swing by the website HERE for more details, pricing and options. If you mention my name in the comments Rochelle might add a little extra something for you! Anybody else miss Basic Grey? I was a HUGE Basic Grey fan. I think I have just about every collection they released while I was scrapping. I would buy the collection pack and supplement with a lot of extras of the patterned papers. Persimmon was/is just about my favorite collection EVER; it has the perfect colors of my favorite season, it has Asian looking influence in the flowers... There is so much to love about this collection. So you know it's a special layout when I pull out my favorite collection of all time. Yet another sketch inspired layout! The themes this month over at SpiegelMom Scraps is sketches and circles so it's only fitting that I have yet another sketch layout and that layout also happens to be laden with circles. Sequins are circles too so they compliment perfectly! I used that journal card with the oval in place of one of the circles on the sketch and added an extra circle for balance on the page. I also used two 4x3 photos instead of the single square picture. These pictures are of Mia at Cotillion. It's tough being taller than the boys and really does take grace to gracefully accept the situation and make the most of it. I used three different color sequins', each from a different sequins mix to get the colors that compliment this Basic Grey collection; I used the orange from Puppy Dog Tails, the aqua/blue form Road Trips & Sunshine and the wood grain is the Mahogany. The sequins really pop against the stark white background! I am still blown away that wood grain sequins are an option! 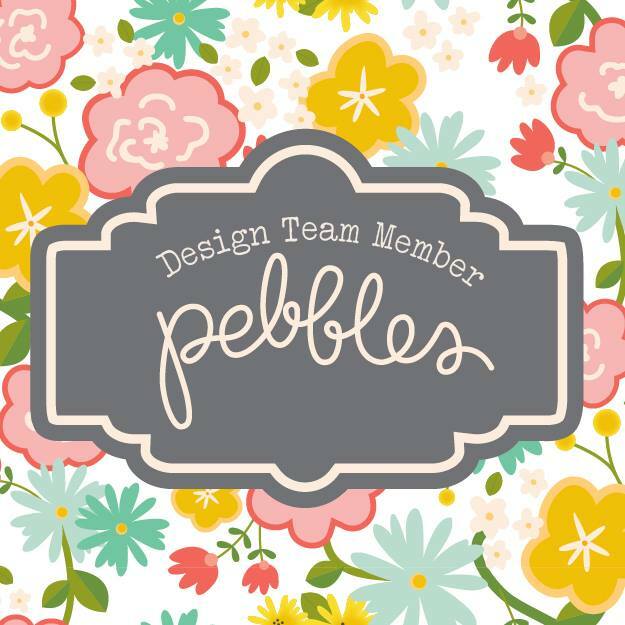 If you haven't seen them, be sure to check out the store - https://spiegelmom-scraps.myshopify.com Use code SUZANNA15 for 15% while you are there! Do you watch the process videos I create? What do you think? If you have an opinion, I'd love to hear them! Change the music? Don't talk so fast? Have something you would like to see? I'd love constructive feedback. I have a fun technique to share with you today using a large digital cut file (or hand cut shape) and washi! I used washi to fill in the backing of the leaves! I put strips of washi side by side on an angle on white cardstock then traced the shape of each side of each leaf and fussy cut the half. Each half was then glued to the back of the digital cut file and wham! A colorful fall leaf! Or apple, or Christmas tree or black bat for Halloween? How cool would that be? This close up gives you a close look at the torn washi ends that add a fun organic feel to the layout. Even the distressed Core'dinations cardstock with the "veins" in it really add to the look, don't you think? And the wonderful Twinery twine! Also adding to the organic, Fall feeling are mist splatters and some SpiegelMom Scraps sequins!! Love me my SMS sequins mixes! Jody makes the best mixes! Speaking of which, be sure to check out her November releases! There are a million new AWESOME mixes!! Can I just tell you; wood grain sequins! I am not adverse to handwriting on a layout but I really wanted more of a camouflaged look for my journaling and something that stood out against all those leaves on that Simple Stories patterned paper. So many fun little embellies to add to the story I'm telling! I think it's easier to see how the washi technique came together on my process video! Enjoy! Thanks for stopping in today! I hope you had a chance to subscribe to my YouTube, if not, join me! It's been a fun ride with lots of fun things to come in 2018! AND when I get to 1,500 subscribers, I am going to a a giveaway!! I have been really enjoying the arrival of Fall here in our neck of the woods and it has made for SO many wonderful memories! I have worked hard to preserve the story of those memories this season and thus, have another Fall themed layout to share with you. I used yet another Paige Taylor Evans cut file (shocking, I know! LOL!) and used it as a mask to create a more organic background for the layout. Additionally, I flipped over the mask and fussy cut out a few of the leaves to use to embellish the layout thus tying in the background to the embellishment clusters. The fine spray of mist was supplemented with larger droplets to add additional color and more visual interest. There is a mix of Fall embellishments from Cocoa Daisy, Simple Stories, Carta Bella, anything fall to build up the three clusters. The blue foam of the gold Thicker letters from 1Canoe2 worked perfectly with the bluey-green fleece Mia is wearing as well as the more teal hues in the sequins and patterned papers I chose to use. Two of the leaves which I cut apart from the digital cut file were backed with vellum and stitched down the center vein to add an opaque look to the leaves. You can see in that close up the lovely simmer of the Puppy Dog Tails sequins mix from SpiegelMom Scraps. These sequins tie the bottom of the layout to the top as the colors are repeated top and bottom. To add to the organic feel of the layout, the edges of each square have been "quilted" and distressed a little bit. You can see one of the two quilted shaker pockets I created using SpiegelMom Scraps sequins mixes. 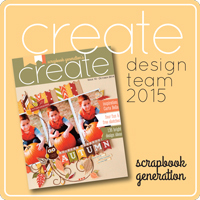 They add a fun element to the page and mimic the movement of falling leaves. Sometimes it is easier to watch the process come together than it is read it, especially for those of you who are more visual! Enjoy the video! Thanks for joining me today! Take care!